JEE Main 2018 admit card is released on the official website. Candidates can check out the steps to download. 13 March 2018: The admit card for Join Entrance Examination (JEE) Main 2018 has been released at the official website. Candidates can download the same from https://jeemain.nic.in. JEE Main pen and paper based examination is scheduled to be conducted on 08 April 2018 (Sunday) and the Computer Based Test (CBT) will be conducted on 15th and 16th April (Sunday and Monday). How to download JEE Main 2018 Admit Card? Visit the official website of JEE Main 2018. Scroll down and click on the “Download Admit Card of JEE (Main) - 2018” button. Log-in with your application number, password and security pin. Your admit card will appear on the screen; download it and take a print out. Check all the details in your admit card carefully. If you see any discrepancies, inform CBSE/JEE (Main) Secretariat immediately. The images of response sheets and answer keys of Pen and Paper based test and the answer keys of Computer Based Test will be displayed on the official website. Candidates can check the same from 24th to 27th 2018. Candidates can also challenge the answer keys by paying a sum of ₹ 1000/- per question. The decision of CBSE/JAB will be considered final in case of answer key challenge. Candidates must carry the admit card on the exam day for entry in the examination hall. Candidates who don’t possess the Admit Card issued by the Board shall not be allowed to enter the examination hall under any circumstances. Candidates are advised to reach the examination venue at least two and half hours before the examination to complete the registration formalities on time. The registration desk will close 05 minutes before the examination. Candidates must note that materials such as log table, notebook, books, etc. should NOT be brought in the examination hall. Electronics gadgets such as calculator, mobile phones, etc. are NOT PERMITTED in the JEE Main 2018 examination. The examination is conducted for admission in undergraduate engineering courses offered by IIITs, NITs and other centrally funded technical institutions. 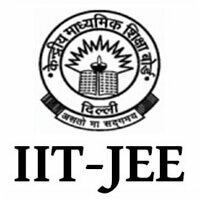 The paper 1 of JEE Main is also the eligibility for JEE Advanced, which is conducted for admissions in undergraduate courses offered by IITs.